SiteMap is one of the most important aspect in search engine indexing. It help google bot to search your link and crowl blog, that how they crawl and index it. Now you must thinking what exactly sitemap is? Sitemap is just a xml page which contain link of each post, page, images and many more means it give a blue print of your website to search engine like Google and Bing. It is not created for people but mainly for search engine. It tell search engine what all page contain and how frequently you update so your blog get indexing easily. It allow search engine to better crawl blog page. See here one sample XML file which contain list of categories and pages. Now let’s see how we can create sitemap? 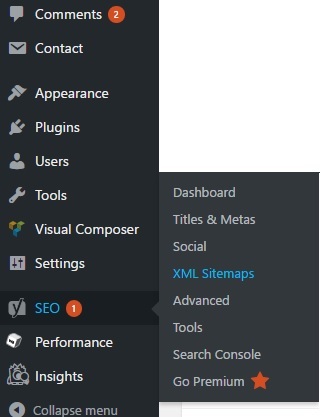 There are many ways of creating xml sitemap and many plugins also available that help us in creating sitemap but here we are using Yoast SEO plugin to create Sitemap. Now question comes in mind, why Yoast only? Certainly we can also use other plugin or tools but this plugin is help us in other On page SEO task and we should use minimum plugin to get work done and load website fast so if this plugin also help us in has built in sitemap functionality then we should use this. 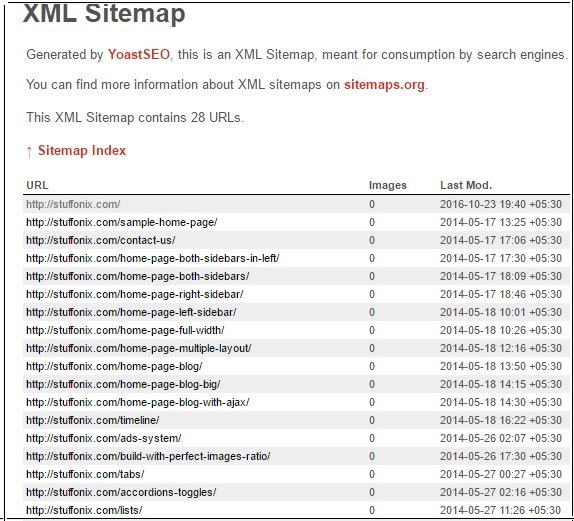 Even If you are not interesting in using Yoast SEO then you can use Google XML sitemaps Plugin to create sitemap for your blog. So If you don’t have plugin then you can downlaod Yoast SEO plugin and then install plugin. If you are not sure how to install plugin then you can read How to install wordpress plugin. Once you install plugin then you can see SEO option in left menu bar. so go to SEO » XML Sitemaps. 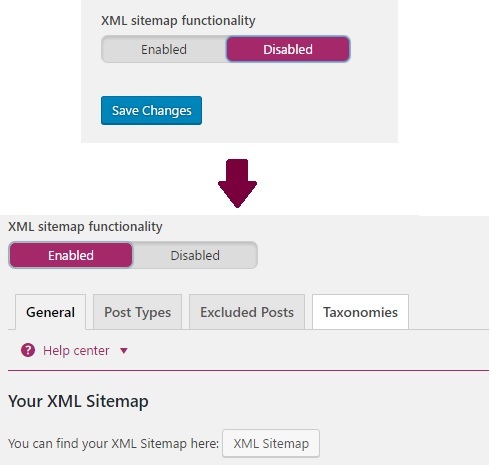 Now enable the xml sitemap so you will find all option to configure sitemap. You can make change by just going through options or else keep them same and click on save changes button. Now your sitemap is generated and easily accessible by just click on XML Sitemap button as you can see in above image. It will redirect you to other page with XML sitemap data. Customize sitemap by selecting parameters like post, page , image and many other. So one you create site map then next go ahead and submit it to search engines like google and Bing. How you can submit sitemap with both search engine then read below post. 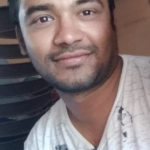 Do let me know if you find any issue in creating XML sitemap .Hope you like this post and create sitemap for your blog.